Pizza Dough | Let's Eat! 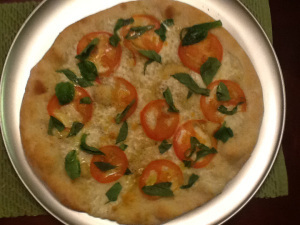 I can’t remember exactly when I started making pizza dough, but over the past 5 years I’ve made pizza many times. Usually for a group of kids hanging out at the house on the weekends. I love having the kids hang out at the house and making them pizza. It keeps them coming back! !